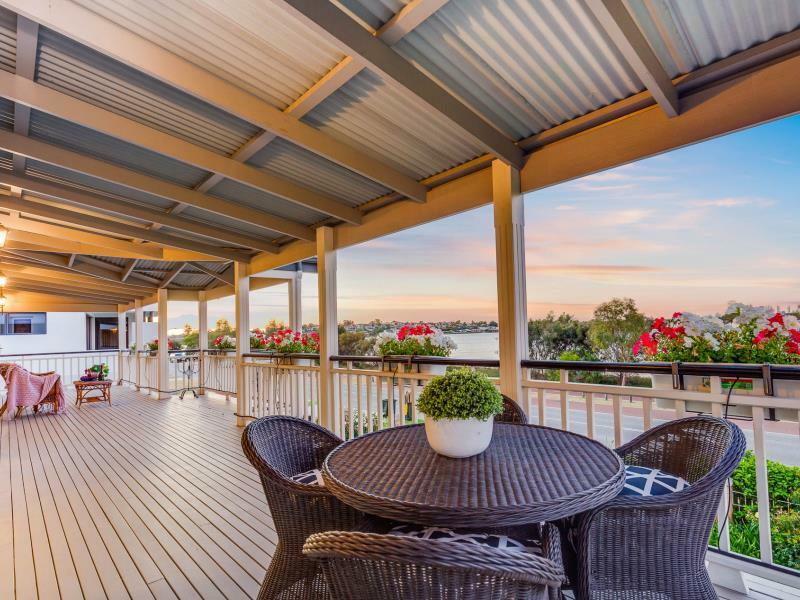 When I stood on the wrapped verandah of this "Hamptons" style family residence, it simply took my breathe away by how amazing and beautiful our City and Canning River are. I just wished I had a "champers" in my hand to wash away the day. I could imagine summer in this beautiful residence. As I made my way through the landscaped gardens, I could see the gardens were just loving spring with all the blooms. I stepped onto the verandah as my journey was about to begin for the first time through this grand 5 bedroom, 3 bathroom family residence. The style of the home reminded me of the plantation homes from the deep South of America, whatever you want to label it, the uniqueness of this riverfront home will certainly stand out. 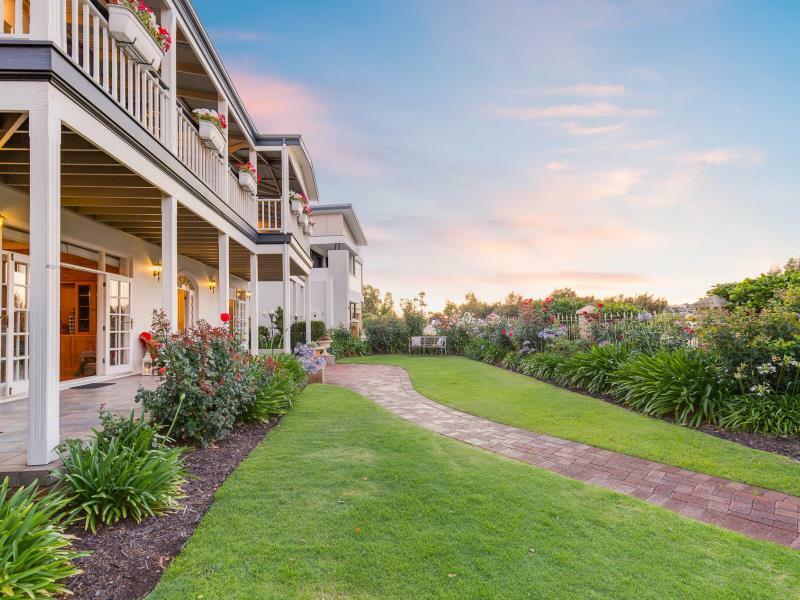 Ensuring that the views are a key feature to entertaining at the residence, French doors adorn all front facing rooms over the wrapped verandahs upstairs and downstairs. 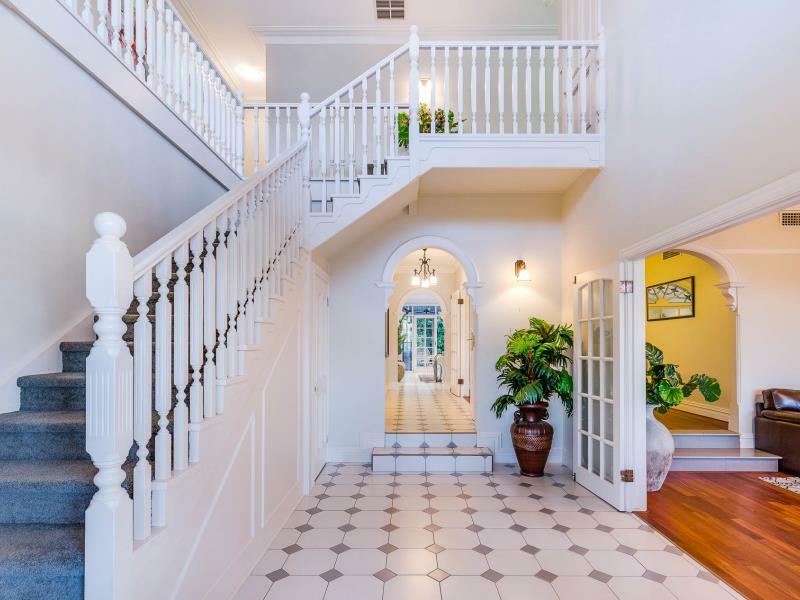 This home is bursting with many features, that no words can describe except a visit to the home open to see what why this home is so unique. •	Master bedroom with views to the city, modern ensuite and French doors to the upper level verandah. •	Sunroom to the rear of the home perfect for entertaining and connection to the outdoor entertaining. •	Open planned kitchen with a relaxed sitting area off the family dining perfect for the hub of the family to download the tales from the day. •	Plus a further 4 well sized bedrooms upstairs all with built in robes and some with seated bay windows. •	Beautifully appointed pool/spa to the side of the house with the ability to keep your eyes on the kids, you can Imagine Summer here! If you can image summer here, then it is worth a peak.